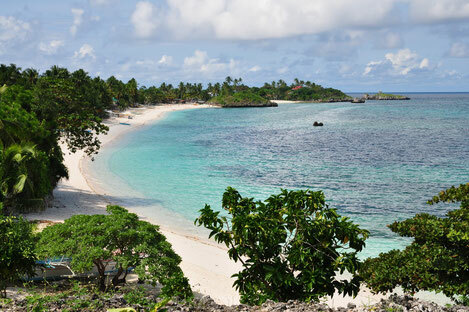 Malapascua features paradise perfect white sand beaches lined with coconut trees that provide ample shade for relaxing. 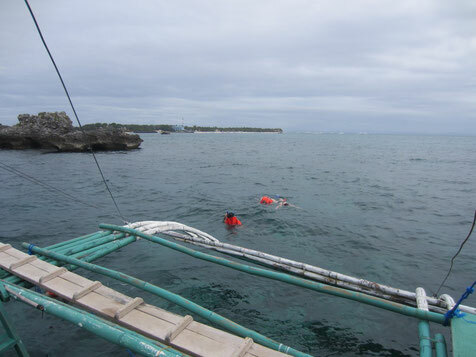 The waters are clear and clean and support coral and marine life, ideal for safe swimming and snorkeling from the shoreline. Walking to explore the island and see friendly local people in their small villages and visit the many different romantic beaches takes two-three hours. There are no roads or cars on the island. Only a few motorbikes may pass by while you enjoy your island hike. 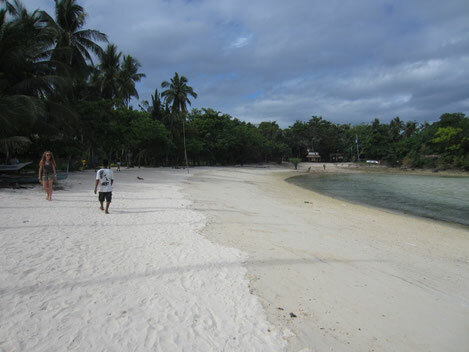 An alternative method to explore Malapascua Island is to rent / hire a motorbike for a few hours. The Garden Resort reception staff can assist with organizing this service and provide guidance and directions. 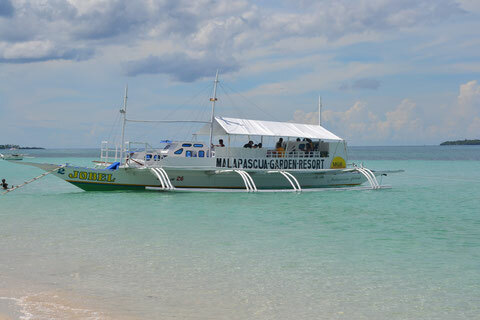 On request, the resort reception desk staff can arrange outrigger boat trips. 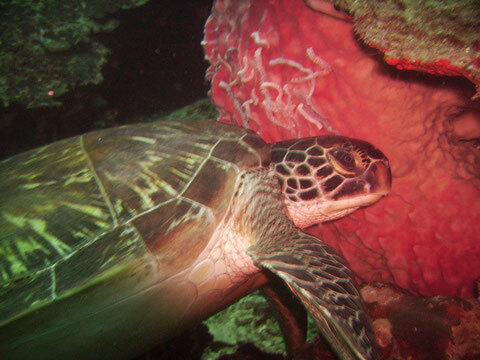 For example, circle Malapascua Island to discover picture perfect beaches; visit coral-garden locations for colorful snorkeling opportunities; or go ashore at those secret beaches you may discover. 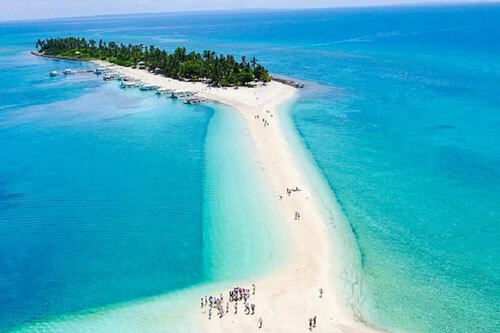 Day trips are also available to the neighboring Islands of Calamangan or Gato Island. Again, the Garden Resort staff are here to assist with such trip plans. Snorkeling gear is available for a modest fee from the Resort reception desk. 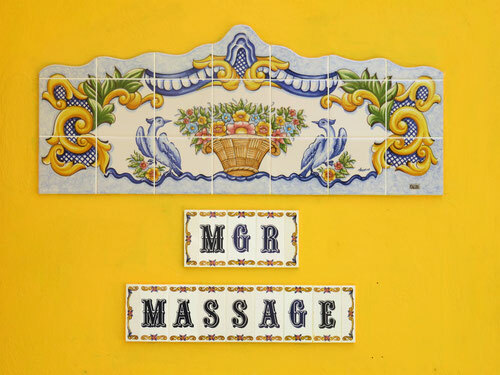 Enjoy massage ín our resort. 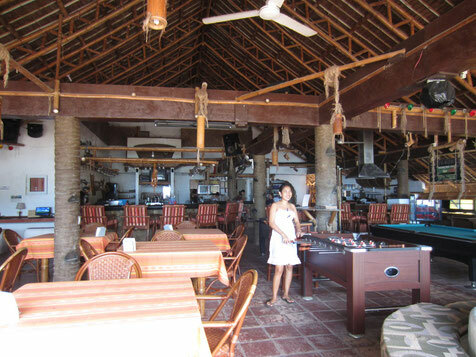 The 'Maldito Bar and Restaurant" at Logon Beach is five minutes walk from the Garden Resort. Have some fun playing billiards; enjoy dinner in the cafe restaurant; or sip refreshing cold drinks at sunset. And perhaps share island adventure stories with new friends.